2015 ends with many in the Higher Education marketing community talking about Virtual Reality (VR). 12 months ago there was a little volume, especially as Yale and others launched their campus tours for Oculus Rift. But now the noise has been turned up considerably. There’s been some big investments too. Deakin in Australia even created a giant VR ‘headset’ – something that open day visitors could walk into and share in a virtual film, captured by drones of course. Go have a look at the case study – it’s impressive stuff. VR is also getting much more accessible. 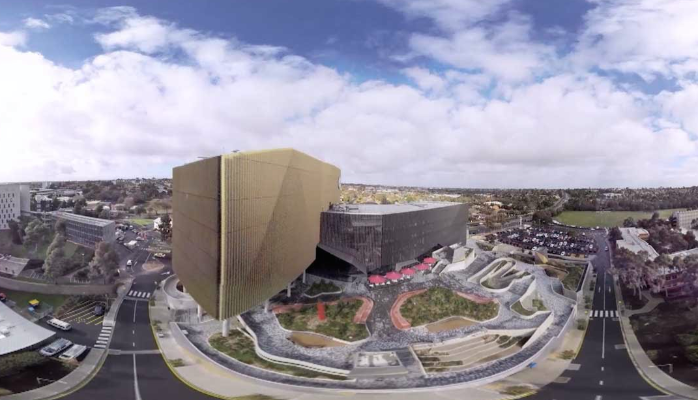 The University of Tasmania Australia pushed out campus tours that you can view in 360 VR via Google Cardboard – easy and cheap to order online. SCAD in the USA even sent out the cardboard for 5,000 accepted students to make their own headsets to use. And to give you some perspective as to how accessible these new make-your-own headsets are, just look at how Kellogg’s recently built theirs into a cereal box. VR experiences can be very exciting. If you’ve been on a virtual rollercoaster, driven on a virtual race track, or taken a virtual trip underwater then you’ll understand just how good they can be. I hope that Higher Education institutions think creatively about how to make the most of this opportunity to attract new students. The fear is that too many will simply film a 360 tour around campus, through doorways, lecture theatres and coffee bars. Surely this technology can create something so much better. I remember when Deakin created a 360 film of a cyclone disaster zone, because they wanted to immerse prospective students in the course itself – using the film to convey the reality of studying about environmental disaster recovery. I’ve seen other examples too, from chemistry labs to operating theatres, from rainforests to coral reefs. I hope these will be the inspiration to bring a whole new wave of experiences to life: to bring study to life. And finally – if you’re planning a VR investment for your university then do remember to think about the wider context. Think about how your audiences will be experiencing VR in 2016, 2017 and 2018. Remember that a younger audience have grown up with the likes of Minecraft and can expect (according to Microsoft) to be playing a VR (and augmented reality) version of the game as early as next year. A virtual trip around a few corridors isn’t going to impress them as much as you think. And if you want to see just what Microsoft’s HoloLens experience is promising for Minecraft, check out this video. So, here’s to 2016. Let’s hope that Virtual Reality is the stimulus for some amazing thinking on campus. Let’s see Higher Education lead the way in creating the immersive experiences to truly inspire the next generation. A Happy Virtual New Year to you all!